Discover the largest city in New Zealand. Go to the hidden spots and enjoy amazing Auckland city skyline views. - Pick up from Accommodation in Auckland CBD. - Drop Off to Accommodation or Airport. Discover the islands, cliffs and the hidden caves caves of the bay by the amazing maneuverable vessel (Also known as the four-wheel drive of the sea) gets you up close to the cliffs and caves of the region, including the remarkable Black Rocks – stunning and extremely rare basalt rock formations. - Pick up from Auckland CBD or Airport. - 2 hour Speed Boat Cliffs & hidden Caves Discovery. - Visit the Black Rocks. - Drop off at Auckland CBD. This Full-day tour in search of Dolphins and other Marine life in New Zealand is definitely a must do while visiting Bay of Island. - 4 hours guided boat cruise. - Hole in the Rock Sighting. - Drop off at Auckland CBD or Airport. Coromandel Peninsula is famous for its historic railway, the beautiful Cathedral Cove, hot water beach, Kauri forests and amazing waterfalls along with many other beautiful places. - Pick up from Auckland CBD. - Drop Off Back to CBD. Discover one of the best snorkelling spots in New Zealand on a half day tour at Goat Island Marine Reserve. - Goat Island Marine Discovery Centre Admission. - 1.5 hour on Goat Island Beach. - Options to rent Snorkelling Gear, Kayak, Clear Kayak or Glass bottom boat ride (extra cost). Comfortable Walking shoes, Warm Clothing in winter. This Tour is Seasonal, please check with us before booking. Visit the Hobbiton Movie Set & Rotorua’s Geothermal Valley (Te Puia) on a Full Day Tour. Add in the Skyline Adventure Tour for an adrenaline rush! - Stops for scenic Photo taking. - Admission & 2hrs Guided tour in the Hobbiton Movie set. - Free Beer, Ginger Beer or Cider in Green Dragon Inn. - 1hr drive to Rotorua. - Admission & Guided Tour in Te Puia Geothermal Valley. - Pohutu Geyser, Mud Pools, Kiwi Bird & Maori Culture. - Drop Off to accommodation in Auckland CBD. Visit the Hobbiton Movie Set and Wai-O-Tapu. Save Money & Time with this combo! Visit the Hobbiton Movie Set & Discover Waitomo Grotto on a Full Day Tour. Make the most of your day. Combine tours & save! - Admission & Guided tour inside the Hobbiton Movie Set. - Free Beer, Cider or Ginger Beer at Green Dragon Inn. - Admission & guided tour inside Waitomo incl Boat ride. - Drop off at CBD. Visit the Hobbiton Movie Set, Waitomo & Wai O Tapu on a Full Day Combo Tour. Ever wondered where the Hobbit & Lord of the Rings Trilogy where filmed? Well!! It was filmed in New Zealand…come and join our Hobbiton Movie Set Tour to see some of the locations. - Admission & 2hrs Guided tour at the Hobbiton Movie set. - Pick up from Hotel or Airport. - 1-hour horse riding on the beach. - Sculpture Trail Admission & Map. - Wine tasting in one of Auckland’s top wineries. - Drop Off in Auckland CBD or Airport. Auckland is not only the New Zealand’s busiest and largest city, but it also has a lot of history and beautiful sights to offer. This day trip around Auckland City will give you the opportunity to learn about the Indigenous people and culture of New Zealand. We start the tour by picking you up from Auckland CBD, then we take you around the City Highlights & the most iconic spots, which concerns Maori History. You will visit Bastion Point, known also as “Michael Joseph Savage Memorial”, One Tree Hill, the stunning Winter Gardens and Mt Eden Volcano, one of the most prominent volcanic cones remaining in the Auckland region, where you’ll be able to see amazing views over the Hauraki Gulf. We will teach you about the history, language, Hongi “Maori Greetings” of Tangata Whenua “people of the land”. You will also have the opportunity to try a temporary Moko “tattoo”, see the famous Haka (the traditional Maori dance of war), and get a hands-on experience of our traditional musical instruments and authentic games played by our ancestors. When the tour comes to an end, we will drop you off at your accomodation in Auckland CBD. Combine an amazing beach horse ride with a luxurious wine tasting experience after a walk around the unique Sculpture Trail. Muriwai Beach extends 60KM & it’s famous for its sparkling black sand, Surfing paradise, The Gannet Colony. - Visit Different outlooks over Muriwai Beach, The Gannet colony & Motutara Island. Muriwai Beach extends 60KM & it’s famous for its sparkling black sand, Surfing paradise, The Gannet Colony & Motutara Island. Are you an Adrenaline Addict? Yes! Then don’t miss this tour which will pump your Adrenalin to the sky. A combination of great activities, all in one amazing adventure tour. - Pick up & Drop off at Auckland City. - Gondola Ride up to Rotorua Skyline. - 5 Luge Rides between 3 tracks. - 400 meters Zoom Ziplining at 80KPH Speed. - Add Buffet Lunch for $60 (Optional). - Pick Up & Drop Off at Hotel. - Agrodome Farm Show & Tour. - Lunch at the panoramic Stratosphere restaurant. Learn about New Zealand sheep farming, one of the largest industries here. Feed the Lambs, watch the ponies, goats, deer & other farm animals. - 1 Hour Sheep Sheering & Sheep Farming show. Te Puia shows you the amazing Maori Culture, Geothermal Wonders, Native Plants & Birds. Learn all about it when visiting Te Puia. 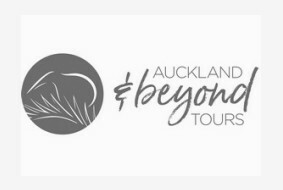 - Admission & Guided tour in Te Puia. - Puhuto Geyser, Mud Pools, Maori Village, Glimpse of Maori Haka performance, National Wood & Stone carving school. - Drive Back to your Accommodation in Auckland CBD. Learn about New Zealand’s culture & geothermal wonders. Then visit Rotorua Skyline and boost your adrenaline all in one day. - Te Puia Geothermal Valley Admission. - Kiwi Bird Watching, Mud Pools, Pohuto Geyser Eruption, National Carving School. - 3 Luge Rides – 50m Sky Swing – 383m Zipline through Red Wood Forests. Visit one of the Top 20 Most Surreal Places in the World on a Half Day Tour with plenty of wonders to see and to discover. - Lady Knox Geyser Eruption. - Geothermal Park & Mud Pools. - Drop Off to Auckland CBD. Live a breathtaking experience and discover the world’s youngest geothermal system, the only one created within written history. Stop for scenic Photo taking. Admission & Self-Guided Tour in Waimangu Valley. Volcanic Craters, Native Plants, Hot Water Pools, Geysers, Wide Birds. Drive Back to Auckland CBD. Visit the Waitomo Glow Worm Caves & Rotorua’s Geothermal Valley (Te Puia) on a Full Day Tour. Add the Skyline Adventure Tour for a adrenaline rush! - Admission to Waitomo Glowworm Caves including a boat ride in Waitomo River. - Puhuto Geyser, Mud Pools, Maori Village, Glimpse of the Maori Haka performance, National Wood & Stone carving school. Have you ever seen luminous worms? They are only found in New Zealand! Don’t miss the Waitomo Grotto while you are in NZ. - Admission & Guided tour of Waitomo Caves includes a boat ride. Black sand beaches, known for its rugged beauty and pounding surf, it sits at the base of the Waitakere Ranges Regional Park and is one of the most popular surf regions. - Visit Auckland’s famous Piha Beach & Lion Rock. - Hike up to Kitekite Waterfall. - Visit Ataraki Maori Centre & Enjoy the Panoramic view. Go rafting down Tutea Falls on Kaituna (Okere) River “THE WORLD’S HIGHEST COMMERCIALLY RAFTED WATERFALLS” or paddle your way to the spectacular Manupirua Springs Hot Pools in Rotorua. - Included: Wet Suit, Helmet, Life Jacket, Wet Suit Booties. - Option to Choose between 50min White Water Rafting or 2.5hrs Kayaking. Explore Auckland’s countryside, where art meets winemaking and a gastronomy that will move your sense. - Chocolate Tasting and Hot Chocolate Drink. - Drop Off to Accommodation in Auckland CBD or Airport.